An official at Loyola said they did not mean to offend social workers with the language of a recent press release. 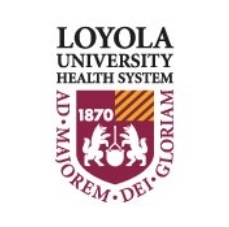 Loyola University Health System in suburban Chicago inadvertently offended some social workers with a press release on a study that examined depression screening of cancer patients. The study, which looked at 455 patients at 37 radiation treatment centers in the United States, said a simple two-question survey is just as accurate in detecting depression among these patients as a 9-question survey. The study found that 78 percent of the centers routinely screen patients for depression at the radiation therapy facility, with 51 percent screening at the initial visit. Mental health services were available at 68 percent of those radiation therapy facilities. However, 67 percent of sites offered only social workers; 17 percent offered psychologists and 22 percent offered psychiatrists. Loyola University Health System spokesman Jim Ritter told SocialWorkersSpeak.org that Loyola did not mean to imply by using the term “only” that social workers are a less valuable part of the mental health care side of cancer treatment than psychologists or psychiatrists. Loyola’s press release merely indicated 67 percent of the radiation treatment center employed solely social workers while 17 percent offered only psychologists and 22 percent psychiatrists, Ritter said. He apologized for any misunderstanding. “We did not mean to state that social workers are inferior,” Ritter said. In fact, Loyola’s findings that the majority of radiation centers they contacted use social workers underscores how important the profession is in providing mental healthcare. Social workers are committed to helping clients get the best possible treatment, including people living with cancer. To learn more visit the National Association of Social Workers’ “Help Starts Here” Health and Wellness website. this is what we are up against. it was only a few decades ago that the nursing profession fought their parity battle and won a great deal of respect and higher incomes in doing so. it is no surprise that the social work profession must also work harder to gain the respect and subsequently the better salaries for members of the profession it deserves. one important way I believe will help this cause is to standardize our credentials. an RN is an RN wherever you go as is an MD. But our credentials differ from state to state. I am sure that there are also other things we must do. but these are just my thoughts. Let’s each -together- continuing doing our part in demonstrating invaluable experience and skills, and raise the collective voice of our own advocacy!